I dreamed these up as i was falling asleep last night, pumpkin everything is in right now, t’is the season i suppose. I love when in the summer blueberries are in and we get to make muffins with them fresh and put an awesome brown sugar topping on them. I wanted something similar for these, but at the same time wanted something different than normal.. That is when the oats came into play. Quite honestly the pumpkin (no choc. 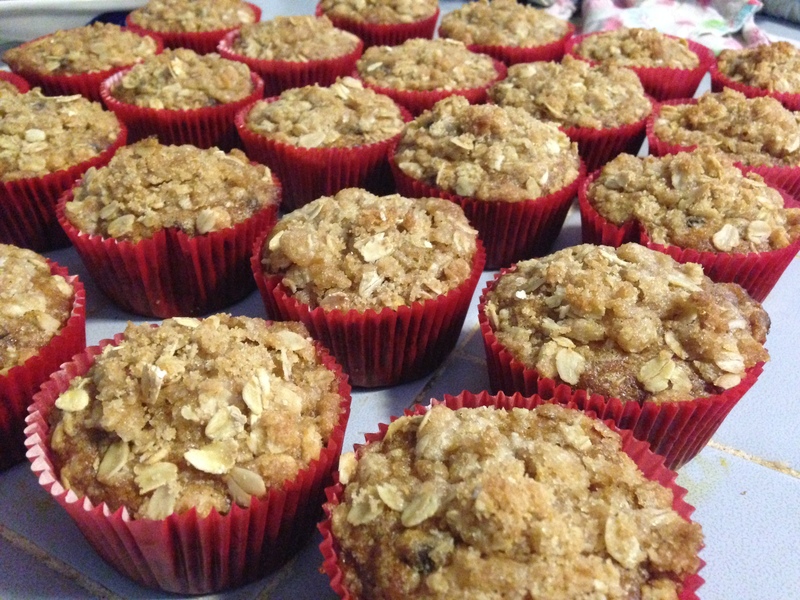 chips) muffin and just the oat topping would be wonderful on their own. Or just the muffin and the chocolate chips. So here is how i put it together, I love a good dump and stir recipe! 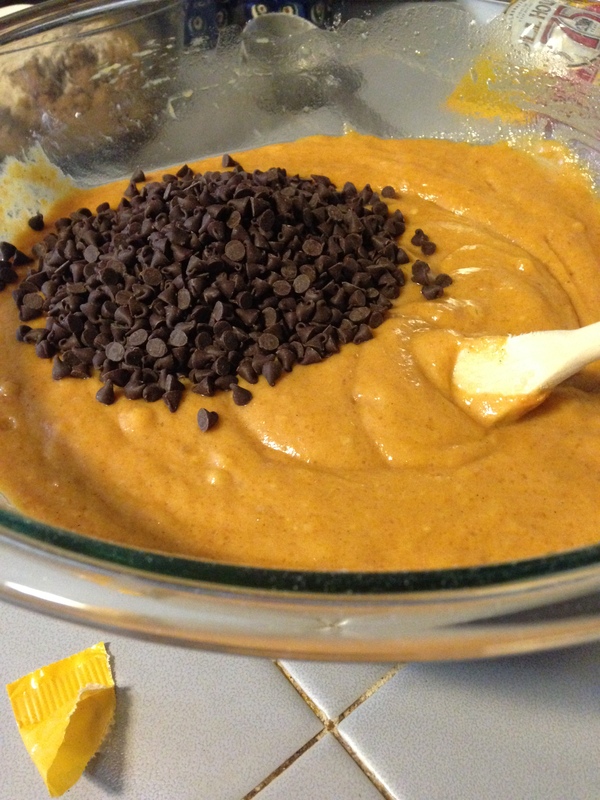 All you have to do is add all the ingredients excluding the chocolate chips into a bowl and stir. Then add in your chocolate chips….. I put my muffin batter into papers like you do cupcakes, but with muffins they usually do not stick and it isn’t needed. I would just give your pan a light non-stick spray or grease very lightly. I fill them up a little more than half way, they rise just a little bit. 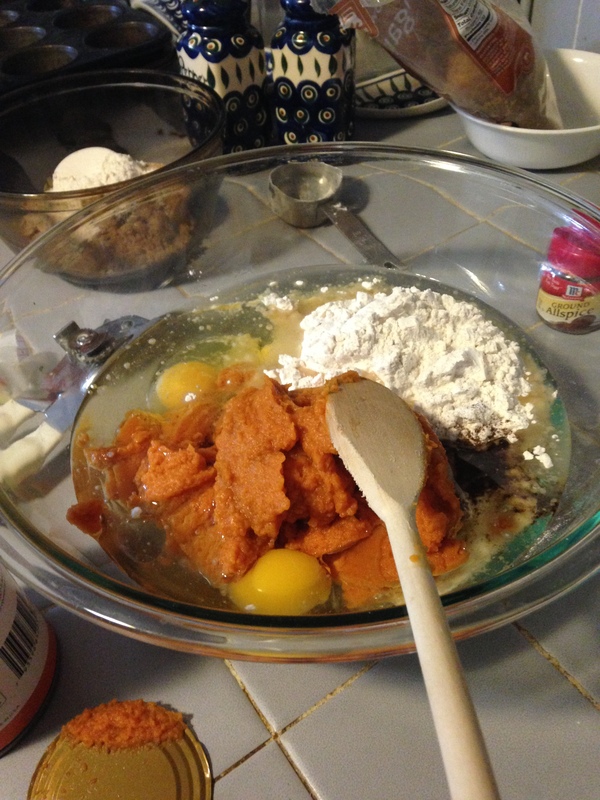 Then for the topping…. 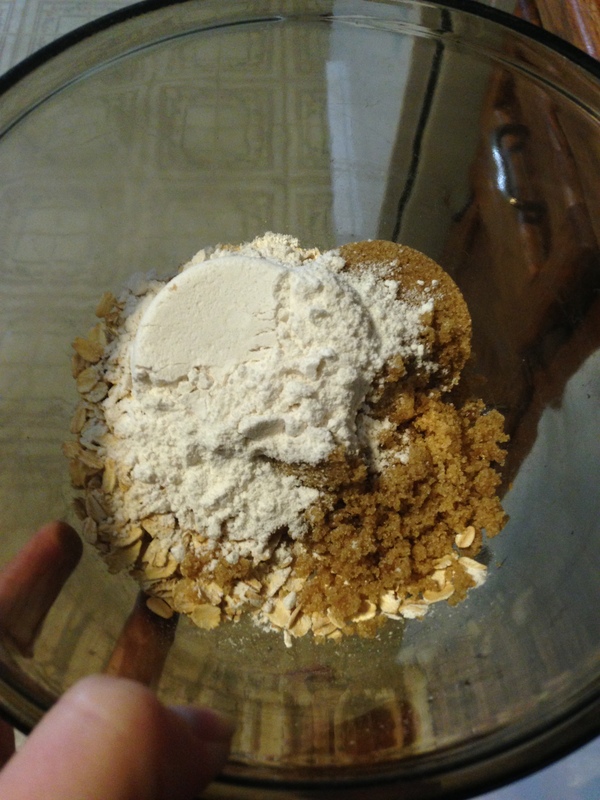 Place your butter, flour, brown sugar, cold cubed butter and oats in a small bowl. Then you have to work it together with your fingers, be sure your butter is cold or else it won’t crumble like it is supposed to. But after about two minutes of kneading it together with your fingers it turns into this lovely little mixture. I sprinkled it very generously over the muffins before baking. If there are still a few lumps of butter then that is okay, just makes it that much more yummy! Bake for about 20 minutes in a 400 degree oven and allow to cool before enjoying. Now you have a wonderful on the go breakfast, mid-afternoon snack or a little treat for any time! 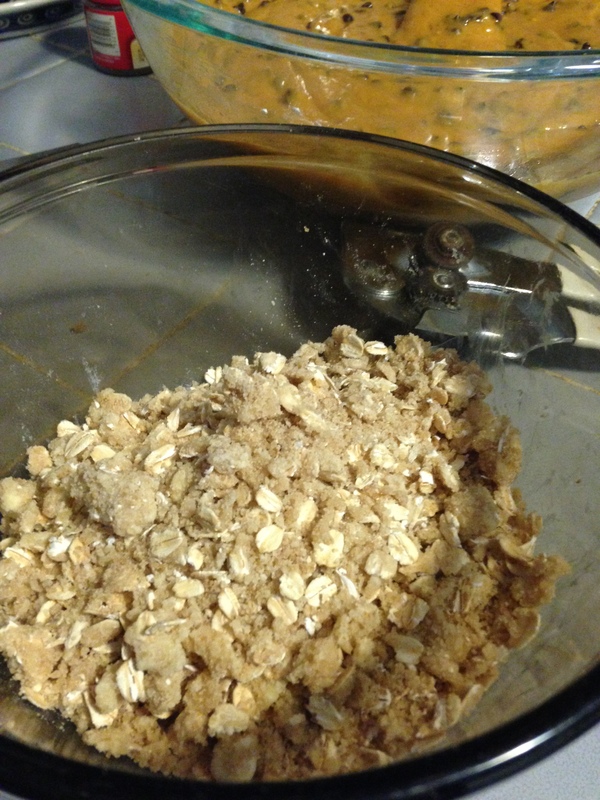 Place all ingredients except chocolate chips in a bowl and mix well, add in chocolate chips and stir. fill slightly more than 1/2 full into standard cupcake pan. Sprinkle with topping if desired. Bake at 400*F for about 20 minutes. Done when a toothpick inserted into the center comes out clean. Place all ingredients into a small bowl and work with fingers until no large lumps of butter remain and mixture is crumbly.